We started the business three and half years ago as a logical extension to the coach building facility we have at Caloundra on the Sunshine Coast. 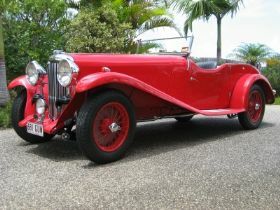 Having been a classic car enthusiast for many years I saw an opportunity to build a business and become a leading custom car builder in Australia. The workshop manager, Tony Sheridan, has over thirty years experience in the industry and is a perfectionist. His team of highly skilled tradesman share his passion for excellence and the company prides itself on doing the job right resulting in a high level of customer appreciation. In all there are ten staff with nine of those hands on in the workshop. 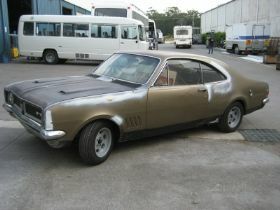 Trade backgrounds of the team include panel beaters, mechanics, coach builders and spray painters. 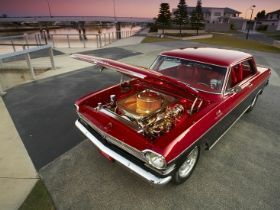 The company specialises in building classic cars, custom street machines, hot rods and hearses. 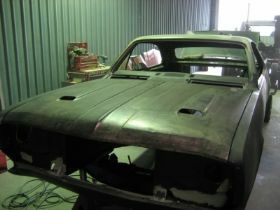 We have the skill set to perform any task a customer requires and will undertake full restorations, customisations, mechanical enhancements, body and paint work and assist clients with any area of their project. Work we have carried out in the past includes rust repairs, fabrication, engine rebuilds, suspension modifications, driveline and transmission upgrades. 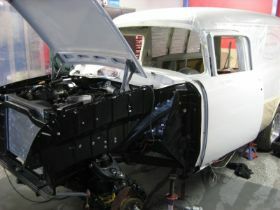 The company also builds hearses and can build stretch limousines based on a client specification. We have a large, well ventilated workshop that can easily accommodate ten cars and all of the workshop equipment and we are currently building a dedicated spray booth. 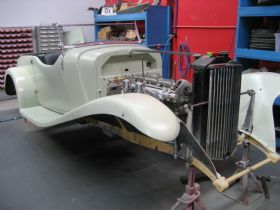 We also have on site a dedicated air conditioned engine room where we rebuild engines, heads and other components. In this room we have an engine running stand that allows us to hook up a clients engine complete with radiator and accessories and run it for tuning and break in purposes. Having the right tools for the job is essential and we have all the necessary equipment required to execute a professional job. The equipment list includes four rotisseries, five MIG welders, TIG and aluminium welders, a large lathe, English wheel, pneumatic planishing hammer, mill drill, angle grinders, air tools, oxyacetylene, spot welders, slip rolls, two chassis tables, polishers, buffers, grinders, hot & cold cut-off saws, metal folders, a FAN dent removal system and guillotines. At Classic Ridz we believe our point of differentiation is our ability to tackle any job a client desires. We have an extremely high attention to detail and we are very thorough in all aspects of the projects we take on. We also provide each client with a CD containing photos of their project build and provide a fully enclosed transport service free of charge to any clients on the east coast on full restorations. Based on our customer testimonials, word of mouth and business practices a number of our projects have come from other workshops where a clients car has been languishing or they were dissatisfied in the work being performed. 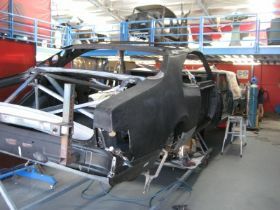 Most of our projects present a unique set of challenges to the team and since the companys inception we have worked on a wide variety of cars. 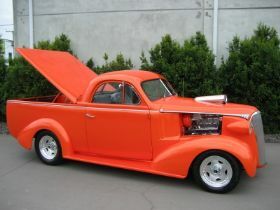 These include classic 55 & 57 Chevrolets, 37 Chev and Novas, EH Holden panel van, EK Van, HT Premier, HT & HQ Monaros, XY GT Clone, XP wagon, 1956 F100s, VW Pickup, 1934 Lagonda, 1926 Buick Hearse, and hot rods. Client specifications range from concourse restorations to extreme customisations and we can provide our expertise to assist with certain aspects of your project or deliver a turnkey finished product. 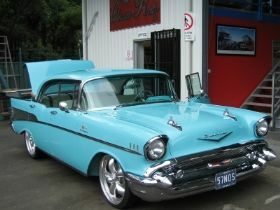 The staff are classic car enthusiasts and between them own a number of classics including 1957 Chevrolets, Novas, a 1962 XL Ford sedan delivery, 1964 XM Wagon and a 1961 Oldsmobile. Some of us belong to car clubs and the business supports various club events, runs and local hot rod shows. 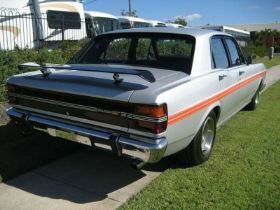 My 63 Nova makes regular passes down the drag strip and at Classic Ridz we can help make your dreams become a reality. 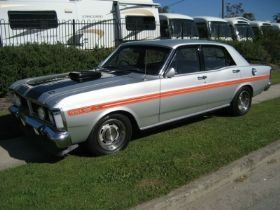 Numerous cars we have worked on have gone on to win various awards at car shows and if you view our web site there is a gallery of the cars and the awards. Our hours of operation are 7.00m 5.00pm Tuesday to Friday and we can be available on Monday and Saturday by appointment. We take on projects from anywhere in Australia and if you insist on a highly professional job we are certain we can meet and exceed your expectations. Please have a look at our website, give us a call or drop by the workshop to discuss your project with us.